We have been absent from Wordless Wednesday sharing for the past couple of weeks! The phrase "lazy days of summer" seems to have skipped our little corner of the world! Our schedules have been pretty crazy! 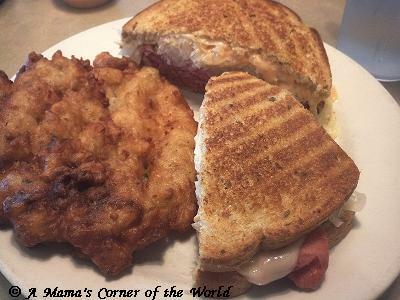 We thought we would share some of our recent Father's Day happenings as this week's Wordless Wednesday post and bloghop! Notice that Miss Lynnie's wakeup is the only one featured. 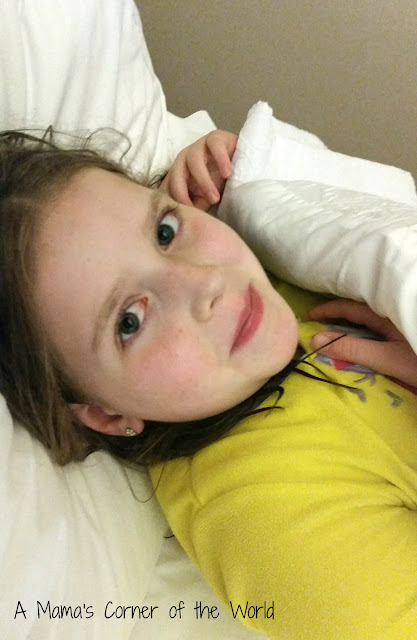 She always tends to wake up with a smile--and never minds a camera in her face first thing in the morning! The girls had a dance competition in Lexington, KY, on Father's Day--so we were up bright and early Sunday morning! It's always a relief when the dance day goes well for at least one of the girls--especially on holidays like Mother's Day and Father's Day! 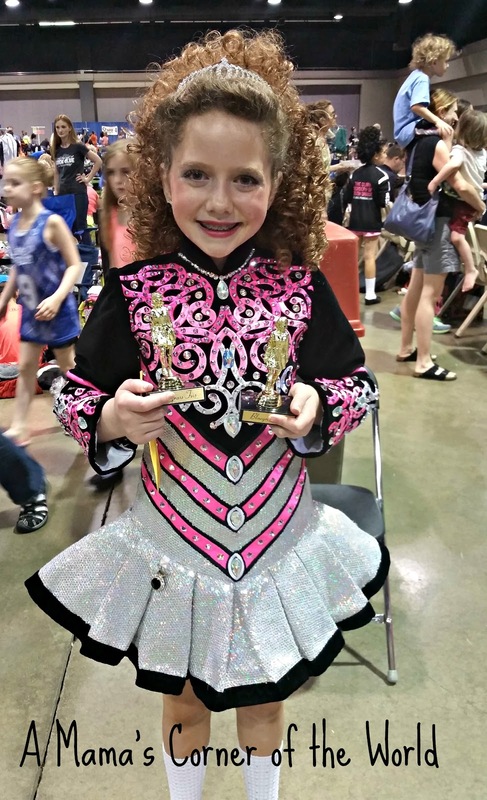 Macy was excited about both her new dress and taking home trophies! It's hard for us to drive by Izzy's if we are passing through the Cincinnati area near lunch or dinner times! 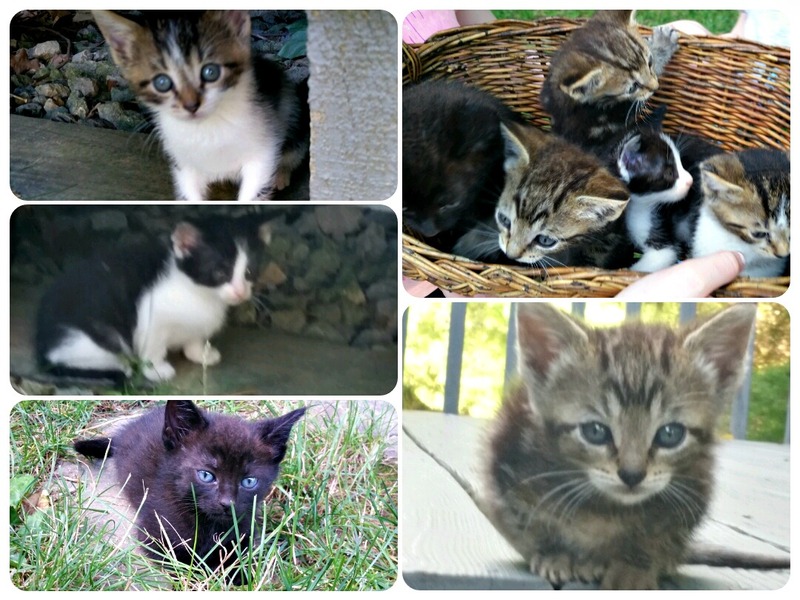 12 spring kittens from three litters have joined the family at Grandma and Granpa T.'s house! These two were inseparable for about 3 hours or so! 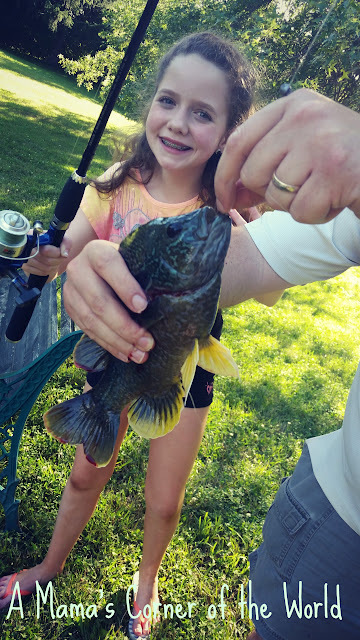 She caught the biggest bluegill I think I've ever seen! It was a busy Father's Day weekend with travel, dance competitions, food, fishing and fun--but, it was all very well worth it! It's time to link up your latest Wordless Wednesday posts! Love the dance costume and the sweet wake up smile. I'm in southern Kentucky so we have something in common! Lived in Lexington many years ago. Hugs to you and your precious family! Teresa Go Cats! We love our visits to (or through) Southern Kentucky! We've talked about moving there so many times over the years! She is a doll, congrats on the trophies, her dress is so cute too!!! Love the kittens, would love to snuggle with one, but dont know what my adult cats would think. Have a great week, and thank you for stopping by #OMHGWW this week!! Congrats on the dancing, a future star. The kittens are cute. Southern Kentucky looks like a place I might want to visit. 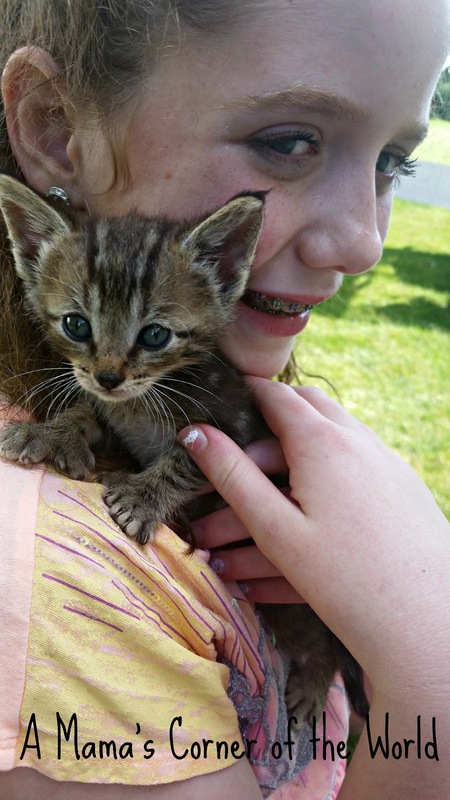 She had such a wonderful day--kittens, dancing, and all! We always have a great trip to Southern Ky! Those kittens are so cute too heheh! Thank you!!! 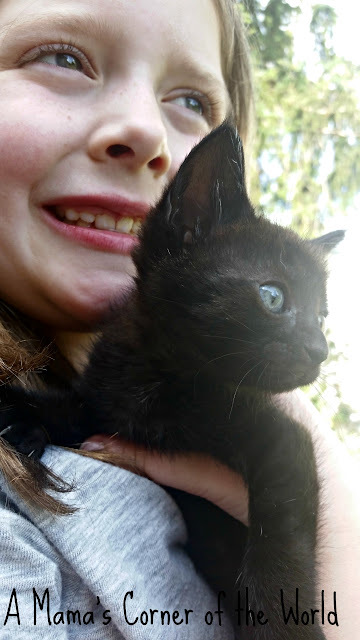 We would love to bring at least four of those kittens home....then the reality of inevitable vet bills kicks in (especially with a sick dog at the present)...and we are forced to love to visit them! What a great costume! And congrats on the trophies! Thank you! She was pretty excited! Thank you! She had a wonderful day--and all of those smiles made for quite the Father's Day weekend as well!